Abstract: Rides of Airwheel are making the most of the city's neighbourhoods, downtown and beach with their people-mover tours. Thinking differently and innovate sustainability is not just a slogan. 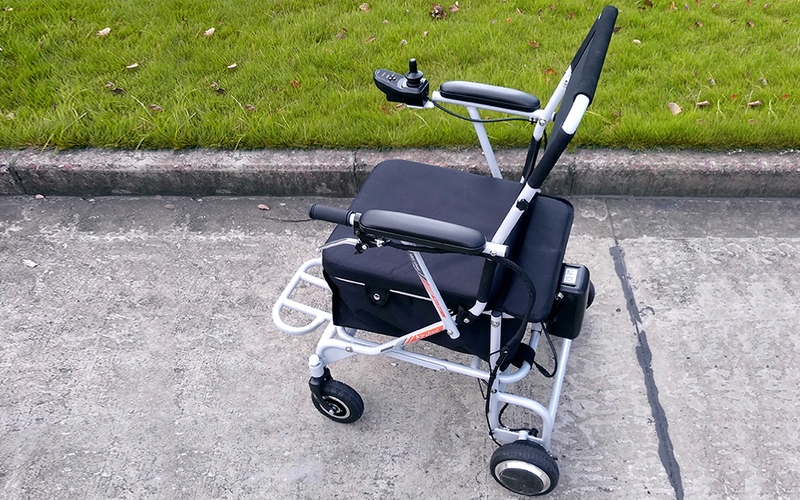 Airwheel H8 power chair solves the daily mobility problems for the minority. Featured by compact, lightweight, easily transportable and maintenance-free and more, Airwheel mars rovers rise to prominence and the new products benefit more riders, such as the Airwheel H8 power and manual wheelchair provides the old people and those who have difficulty in walking a brand new trip mode and allows them to move around freely. To get around freely is not so easy as the young. Because of their physical conditions going down downhill, an injury from a fall may result in limited or reduced mobility. One of the most important things you can do to help someone with mobility problems and fear of falling is to encourage physical activity. Airwheel H8 smart electric wheelchair relies on the smart joystick controller to execute all riding commands, and even the old can master it within minutes. Also, the large storage box under the seat lets riders go to supermarket effortlessly. Moreover, Airwheel H8 is not affected by the road conditions at all with the Omni-directional wheels, and it can be ridden on the sidewalk. Light in weight and convenient to carry is to describe Airwheel H8. No matter you ride H8 directly to the destination, or you need a change, Airwheel H8 can make a optimise route from the residence to the workplace. For transportation change, Airwheel H8 handle controlled electric wheelchair is so handy and convenient that it can easily be taken into the bus or metro. Its thickened soft cushion is designed for long-time sitting reduces fatigue, ensuring safe and comfortable riding. In addition, riders can not only sit on H8 power chair to ride, but also riders can change the electric mode to the manual mode. Then, they can do proper exercise or just enjoy the company of friends. Also, the replaceable battery design is worth mentioning, which makes Airwheel H8 easier to get charged. In a word, the recently released Airwheel H8 provides the old people a brand new trip mode.